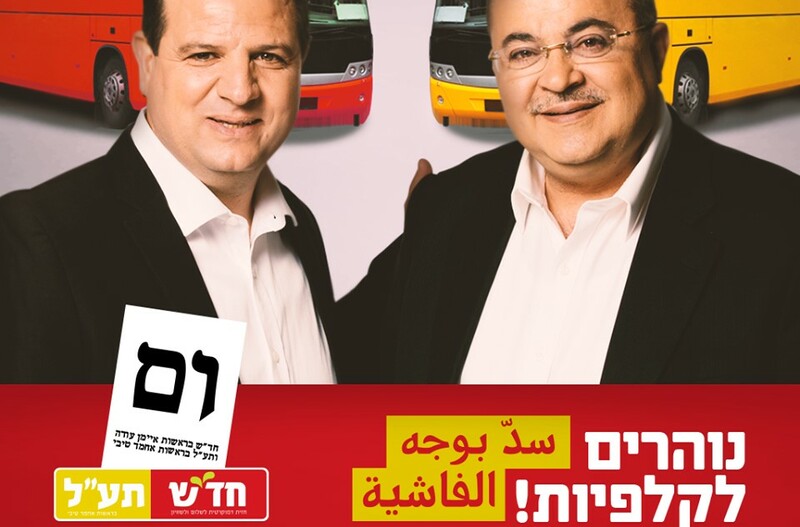 The Hadash-Ta’al alliance held its Tel Aviv campaign launch at a popular bar in the city on Wednesday evening, March 13, towards the general elections on April 9. Some 250 people, young and old, Jews and Arabs, turned out at the watering hole adjacent to the city’s bustling Rothschild Boulevard and largely filled its outdoor patio section. At the start of the event, Hadash leader MK Ayman Odeh and Ta’al chairman MK Ahmad Tibi schmoozed with supporters and journalists, while Young Communist League of Israel (Banki-Shabiba) activists handed out T-shirts with “Jews and Arabs refuse to be enemies” written on them and asked attendees whether they would like to join Hadash. During Wednesday’s campaign launch, Dr. Ofer Cassif, a Communist candidate on the Hadash-Ta’al slate, quoted the late poet Mahmoud Darwish, whose poetry focuses heavily on the Palestinian issue. “Today is the birthday of the poet Mahmoud Darwish. Exactly 78 years ago today, the Palestinian national poet was born. One of the things he wrote was ‘think about your fellow man.’ Who thinks more about his fellow man than the Hadash-Ta’al list?” asked Cassif, a professor of political science at the Hebrew University of Jerusalem.